It's 12:53am. The children are in bed, yet I cannot tuck myself in bed, too. Something is bugging me. In fact, a lot of somethings are bugging me. They bug me so much that I might be compelled to go off for a walk into the night, talking out loud to help sort out my thoughts, trying to figure out what is wrong. 13. Tendency to worry needlessly, endlessly; tendency to scan the horizon looking for something to worry about, alternating with inattention to or disregard for actual dangers. I've wondered for some time, though, if this definition isn't a fair one. Do we really grow restless when things are going smoothly, and then frantically look about for something to get worried over? Are adults with ADHD hopelessly neurotic? Isn't it possible that instead, this tendency to worry is tied closely with chronic ADHD low self-esteem and fear of failure? We hear the voice in our heads, "Oh, no! Not again!" and panic. I don't believe we worry as much because we are bored as much as we worry because we are fearful something is going to embarrass us again. Either way, if we let panic settle in, we will definitely slip into a ruminating cycle of worry and fear followed by hyperfocus on fixing the problem while ignoring responsibilities or the environment around us. I mean, it's not like I've ever been worried while I'm driving about the cassette adaptor chord being wrapped awkwardly around my iPhone to the point where I drift into oncoming traffic while I straighten it out. Or get so worked up about my life direction that I spend hours researching what other people have done instead of completing a project I had already started. Pshaw! Sounds boring. Jot. Keep a notepad or text file handy. For example, if you are at work, jot down new concerns to go over later so that you don't get distracted from your current responsibilities. Stop. If you have a tendency to lose track of your environment, for example when driving, then it is better to pull over and fix distractions instead of trying to multi-task. List. Keep a list of current top projects. Update the list weekly. By updating the list on a regular basis you can keep your top projects in mind while also training yourself to see new projects have a lower priority because they are at the bottom of the list. Talk. Use friends and family as a sounding board. Recently, I worried my freelance work wasn't bringing in enough money, so I came up with a new idea. I was so worked up about the new idea that I couldn't concentrate on my current projects. It took a conversation with two different friends before I had a concrete grasp of how much work that project would require, which severely diminished my enthusiasm for beginning it. Whether you worry needlessly over things late into the night, or rush off into new projects when you become frustrated with your current one, you need to create artificial buffers to take the place of the control your impulse center lacks. Sometimes we trick ourselves into thinking that worrying about how to fix problems is a productive use of our times. 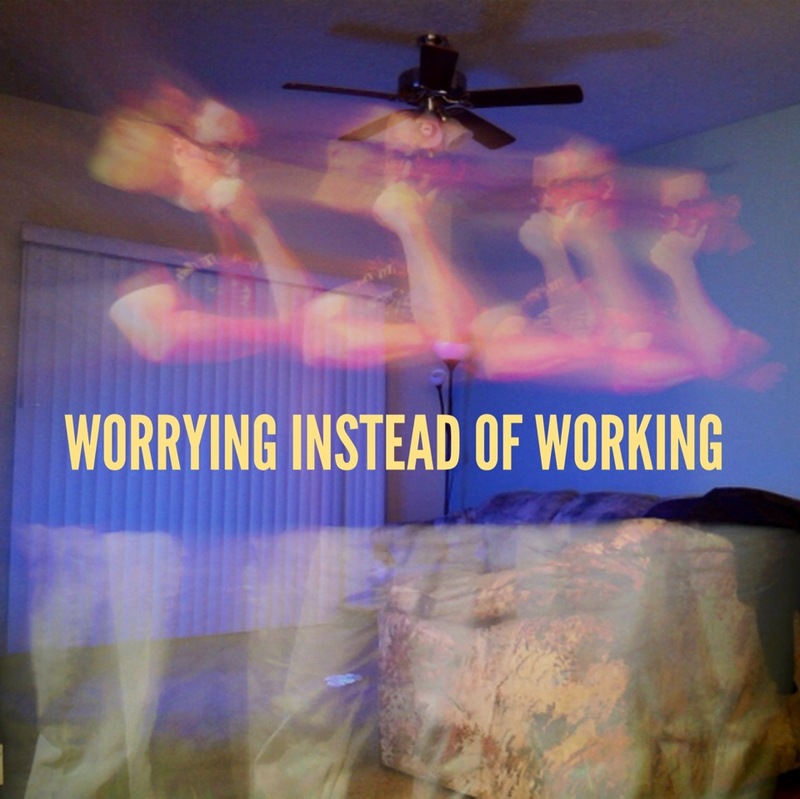 Many times, it is, but for those frequent times when worry is simply a distraction we can keep this rumination-worry-distraction cycle in check with a bit of training and preparation. Think about how productive you can be if you jot, stop, list, and talk over your concerns and grand new ideas first before leaping into the dark. Then you can have the best of both worlds, utilizing your ADHD leaps of intuition and creativity without wasting time. If you find my tips for dealing with ADHD or Depression helpful, please consider leaving a tip through PayPal. Or you could share my articles on Twitter or Facebook and let others know about them. Thanks for all your support.